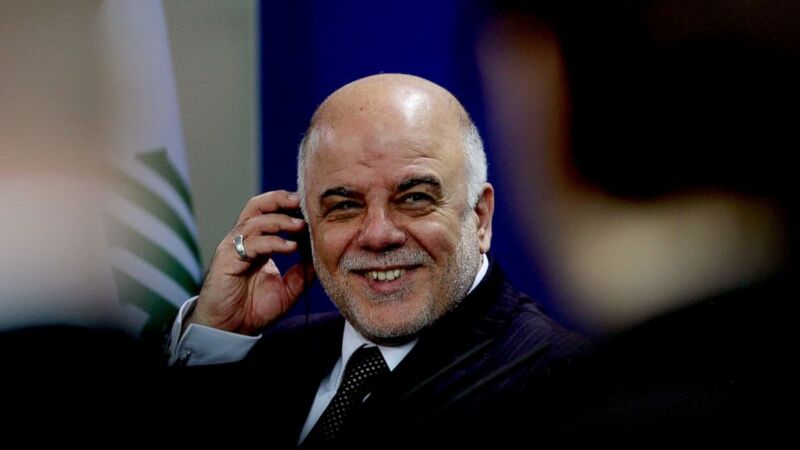 On many levels, Abadi’s tenure in office seems to have been largely positive. A basic Google search returns numerous headlines that reflect these positive outcomes. “Iraqi Prime Minister Drops all Lawsuits against Journalists, Media Outlets”. (One might check the ‘restoring media freedom box’ quite confidently, for example.) Abadi has also tackled the horrific corruption plaguing Iraq in a number of sectors, perhaps most infamously the 50,000 ‘ghost soldiers’ drawing pay from the Iraqi army, but which extends further into other ministries. As quoted by Al-Monitor, “There are a number of ‘ghost soldiers’ in other ministries. I am moving forward with reform to expose them. Campaigns were launched and others will be launched to topple me. … However, I will not back off, even if [this] leads to my assassination.” These words seem to herald a new age in which the corrupt institutions under which Iraq’s economic, political and civil development has lagged for the past 12 years might be re-forged. However, analysts are also aware that Abadi is leading his country in a critical and highly challenging period of its history. Perhaps the two most important issues now facing Abadi are the campaign against ISIS and post-ISIS Iraq. While slow to start, his anti-ISIS offensive has gained steam in recent weeks, turning into a full-blown assault on Tikrit. He mobilized upwards of 30,000 Shia militia, Iraqi soldiers, and Iraqi policemen for the siege, and made rapid gains in the first few weeks. However, with the Shia mobilization militias bogged down amidst ISIS booby traps and street-to-street combat, Abadi authorized a request for American air support. This, in turn, infuriated several of the prominent Shia militias, and resulted in Abadi traveling to Tikrit himself to negotiate with militias in the hopes of preventing a crippling boycott of the offensive, an action that would devein Iraq’s military capabilities against ISIS (50,000 ghost soldiers cannot be replaced in time for an assault on Mosul, which will instead presumably rely on these same militias). While his personal visit might seem valiant, it is also a sign that his plans have begun to deviate from their intended course. Whether or not Abadi can hold together the militia alliance, and therefore ostensibly balance the Iranian and American geopolitical interests at play in Iraq, will be one of the defining representations of his leadership. Then there is the task of sectarian reconciliation. Thinking back to the militia’s composing the 30,000 active troops for the Tikrit offensive, one should also think about the flood of weapons and militarization this will mean. Most notably is that certain militias that had gone dormant or sought political power instead of military power have now re-armed, eager to share in the glory the militias will collectively claim if they manage to drive ISIS from Iraq. The obvious danger, yet the one not spoken about frequently in Western reporting, lies in the effectiveness of a Disarmament, Demobilization, and Reintegration (DDR) process for these militias. Will the government be able to decide the timing of the militias’ disarmament? How will they define “mission accomplished”? Under what demands will they try to disarm? Or will the militias use their mobilization en masse to barter for political power or other forms of patronage? Will they become a new force for graft in Iraq, twisting their weaponization (and the legitimization of this weaponization from both the Iraqi government and key Iraqi religious figures) to fight against ISIS into a new method of resource extraction, racketeering or even taking control of neighborhoods? Certainly, Abadi’s government and other key actors in Iraq are aware of exactly what they face in the tens of thousands of mobilized militia. Ayatollah Sistani, who issued the original fatwa that drew recruits to the Popular Mobilization Forces, emphasized the role of these forces as state forces, and while his subsequent fatwas emphasized the need for just war conduct and the restriction of bigoted behaviors, there is no guarantee that a fatwa for the militias to disband would actually result in their disbandment. Some question whether Sistani can rein in the militias, while others suggest an emphasis on calling up more nationalistic militias, if such an identity can be deemed static. That leaves the task of reining in these militias to the state under which they supposedly operate. Abadi’s initial response to this challenge was the have been the initiation of a national guard for Iraq, a way in which to incorporate the various militia groups into an organization that is separate from the army, but still under state auspices. On its face, this might seem like a quick and effective solution to bolster Iraq’s coordinated defense capabilities while sidelining the growing power of the militias. However, many observers are skeptical that the Iraqi government will be able to overcome the militia challenge. In a report this week, International Crisis Group argued that Abadi has already been ‘sidelined’ by the expansion of these militias, and that their contribution to the erosion of remaining Iraqi state institutions is significant. Even in a National Guard outfit, other identities and loyalties might still hold sway, especially if the militias employ patronage politics to incentivize such loyalty. The report held a deeply pessimistic outlook, whereas others at Foreign Affairs, for example, laud Abadi on his reconciliation efforts to date, and seem much more optimistic about his ability to resuscitate the Iraqi state, or at least parts of it. Nouri al-Malaki, now one of Iraq’s vice presidents, took a different critiquing approach, arguing that the National Guard, especially its emphasis on creating localized defense forces, would simply institutionalize the partition of Iraq. If Prime Minister Abadi intends to build the legitimacy and potency of the Iraqi state, both within and beyond its security apparatus, he must take advantage of the current status quo to reign in the militias, or at the very least get a gauge on which are honestly under his control. The flipside to this is the risk it will pose to the offensive in Mosul, should certain groups, especially the largest or most battle hardened, decide to pack up and withdraw. However, this seems unlikely, for the simple reason that their legitimacy as ‘defenders of Iraq’ would be imperiled. The importance of ‘legitimacy’—or even curb appeal—relates back to Abadi’s anti-corruption drive. If we define success as sustainable, long-term elimination of corrupt practices, this anti-corruption campaign,if successful, will interrupt the flows of graft that likely serve as both fiscal and political capital the militias can use to buy patronage from supporters. These behaviors are well documented, perhaps most prominently in analysis work on the patronage networks used by the militia of Muqtada al-Sadr. With these sources of appeal potentially dwindling, militia leaders would be forced to rely increasingly on their reputation, and it’s hard to image their reputations would not suffer if they withdrew from the fight against ISIS. So perhaps the militias would eventually cave, accept US airstrikes, and remain in the field, giving ground to the Iraqi government and acknowledging the government’s power, albeit unwillingly. This possibility only emphasizes the importance of the anti-corruption drive. If militia leaders begin to face external pressures, they may swerve in their game of chicken with the Iraqi government. This solution would create a perception of government power amongst the public (forcing the militias to bend their knee, so to speak, to the Iraqi state), but it would not solve the long-term issue of disarming, demobilizing, and reintegrating the militias into Iraqi society. While the National Guard may achieve this, it seems unlikely that a state institution could subvert extra-state loyalties like those to militias. It might simply be that the most intransigent of militias need to be marginalized from the fight against ISIS, allowing only those who could realistically be expected to integrate into the Iraqi armed forces, or disband afterwards, to join the Mosul assault. This would mean delaying the assault for further training of Iraqi armed forces, but it might also mean an invaluable first step in de-legitimizing these militias’ existence by removing them from their primary objective- the fight against ISIS. Ironically, losing the game of chicken, and having some of the militias withdraw, might be Abadi’s best bet at restoring state control over violence and security, and of continuing a successful term as Prime Minister. It is difficult to attempt to consider long-term risks posed by the militias in the face of significantly more grave risks posed by the entrenchment of the “Islamic State” in major metropolitan zones like Mosul, but a failure to do so may just imperil the rest of Abadi’s policies. 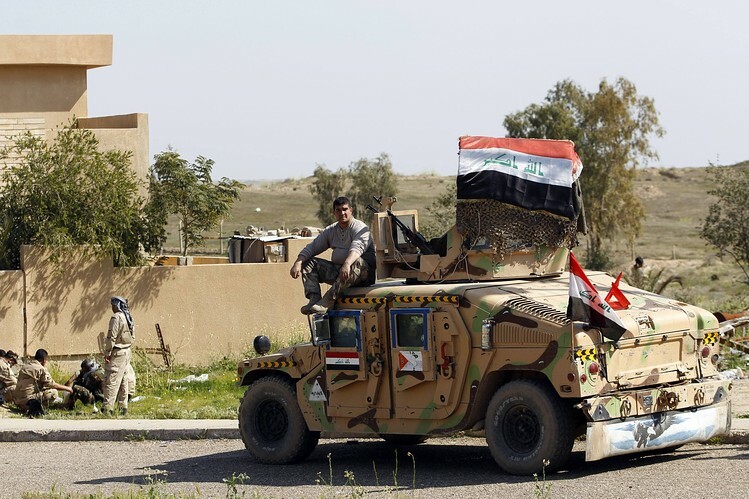 April 1st addendum: According to the Washington Post, in Iraq’s largest cooperative armed offensive comprised of Iraqi soldiers, Iraqi policemen, and Sunni and Shia militants, has retaken Tikrit. March 30th addendum: Since the initial writing of this article, the militias who were boycotting the offensive had re-engaged in the offensive in Tikrit, apparently reneging on their pledge to boycott any assault involving American air support. Clearly, whatever was said, offered, or threatened by Abadi, Sistani or other unknown actors, which potentially include Iranian officials who may be positioning their tactics with thoughts of the nuclear negotiations with the US, had an effect, triggering an assault which Iraqi officials claimed has recaptured 75% of the city. If Abadi and his night-time trip to the front catalyzed this change of heart, it will be welcome news to those who fear he cannot reign in the Popular Mobilization Forces when ISIS is gone, and may offer hope for successful integration into a national guard structure. Alternatively, if other actors changed the militias’ behavior for their own means, it could spell more disempowerment for Abadi, and could lead to other actors controlling the militias’ future decisions. The implications of this stretch beyond the bounds of this article and engage topics of broader geopolitical relevance, and call into question whether the supposedly U.S. commanded assault that will sooner or later be coming to Mosul will involve these militias, and therefore Iranian support staff, putting the Iranians and Americans in close contact. Similar to the bonds built over pirate patrols in the Gulf of Aden between different nations, military cooperation could be a huge step for American-Iranian relations. Previous PostSaudi Arabia’s Line of SuccessionNext PostWhat Now, Bibi? What the 2015 Elections Mean for Israel.